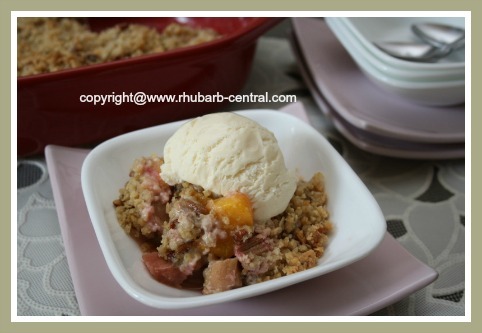 This Rhubarb Peach Fruit Crumble Recipe with a delicious oatmeal topping is made with peaches and rhubarb. 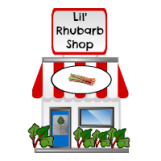 If you do not have rhubarb, or wish to make a crumble with other types of fruit, simply SUBSTITUTE the rhubarb with a fruit of your choice. I love to make this recipe when the fresh local peaches are ripe, using fresh rhubarb from my garden. You can also use canned peaches or frozen peaches, and frozen rhubarb for this crumble. Note - if you are using frozen rhubarb for this recipe, I suggest that you strain it in a sieve, over a bowl, and discard the excess liquid, (or use it for another recipe). 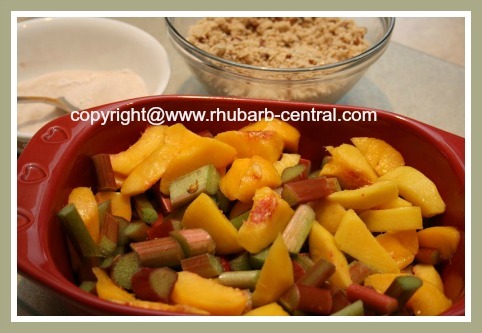 Add the chopped rhubarb and the peach slices to a greased, (I used cooking spray), 8" or 9" square baking dish. In a bowl, using a fork, combine the flours, oats, brown sugar, salt and the nuts. Using your fingers, mix in the butter pieces, until the oatmeal crumble mixture resembles coarse crumbs. 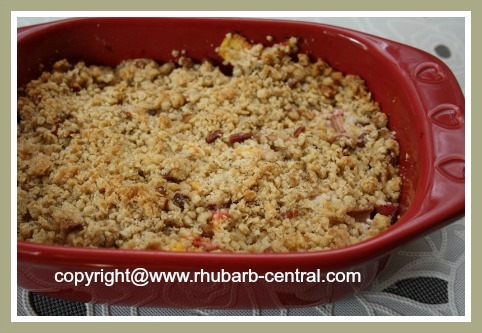 Spread the crumble topping over the peach slices and rhubarb pieces in the baking dish. Bake the crumble at 350° F for about 45 minutes, or until the fruit is tender, and the topping has browned. Serve this yummy crumble warm or at room temperature, with ice cream, whipped cream, whipped dessert topping, or a spoon of yogurt. 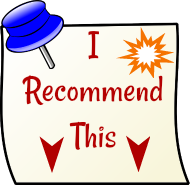 ~~ When making any fruit crumble recipe, I usually double the oatmeal crumble topping and keep it in the refrigerator for several days. 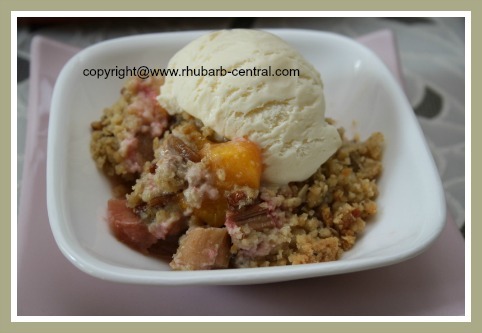 Then, when I choose to make another fruit crumble recipe, (with rhubarb or any other fruit of my choice), I can very quickly have it ready to serve for a delectable dessert! 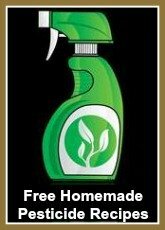 GO to 100's More Best Peach Recipes at Peach-depot.com!